Me and my Grey kin – at least they with the gray Grey name – have spent our life times correcting people and playing the tut-tutting primary school teacher with government workers, call centre agents and any number of pizza and Chinese food delivery order-takers – and anyone else who tried to spell our name: “that’s Grey, with an ‘e’ we’d say: G-r-e-y”. Unless your name is maybe “Brown” everyone knows the name-spelling drill: if you want your name registered right you spell it out. Though come to think of it even the surname “Brown” pops up with an ‘e’, as in “Browne”. Which reminds me of the many times – sadly – that occur where I’ll say, “that’s Grey with an ‘e'”, and the person doing the order-taking or whatever will show off their super-active-listening skills and say, “right, so G-r-a-y-e”. In the old days, when a great many didn’t read or write and so the “literate” world wasn’t so hung up on spelling, names were most important in how they were heard – not how they were spelled. I have to tell you that I recently turned an ashen grey [what a great example of a 21st century kid’s name, btw] after having a peek at the 1901 Irish census. After a lifetime of being precious about the E in Grey I’ve found my great-grandfather has let the side down – or reminded us we’ve been ditties: he signed the census John H Gray. He was coachman for the well-known landowner, the Reverend Maxwell Coote of County Meath. My point here is he was a literate guy – and he knew how to spell his name. Where did we Greys-with-an-E go wrong? I guess somewhere in my dad’s family’s 1929 journey across the Atlantic things went amiss – that’s “amiss”, one ‘m’ and two ‘s’s’. It is hard to tell but a good reminder here – for me at least – about value and about what matters: and what matters is not how your name is spelled. 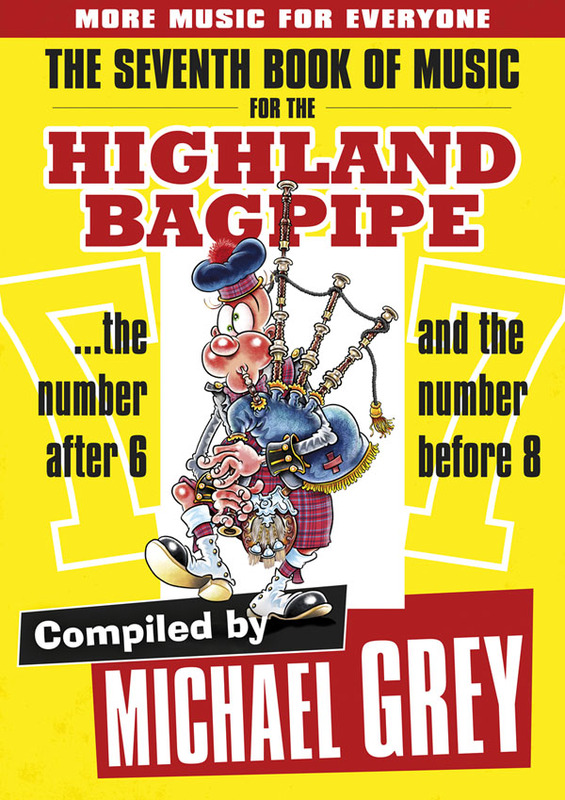 I feel so much better now that my tune – meaning “my tune” in the real way, one written for me; that is, Bill Livingstone’s fabbo hornpipe “Michael Grey” (ooh, what fun to key that) has, in fact, been recorded correctly in the Scots Guards book III: “Michael Gray”. The piping world is small and not all that diverse. I mean, we don’t have many Apu Nahasapeemapetilons. John and Angus MacDonalds are ten a penny. John Wilsons, Angus Mackays and John MacLellans, too. Our piping world names may overlap but we’ve always found a way to easily put the tune to the face. And I think I can hear my old friend Ann Gray laughing out loud now! It truly is a name with 50 shades…. Ha! Hope yer right, Iain! M.